Both Austin and O’Neill were among a core group of fire service officials who were actively involved in the establishment of CFSI in 1989 and have maintained active roles over the last 30 years. Both served as chairs of the CFSI National Advisory Committee, with Austin holding the distinction as the only four-term chair. Their success as NAC chairs was attributed to their abilities to develop consensus among NAC members on a broad range of fire service issues. Beyond their roles as NAC chair, Austin and O’Neill have served in many other capacities within CFSI, including members of the CFSI Kitchen Cabinet, a small group of former NAC chairs who meet regularly to provide guidance and support to the CFSI staff. During their professional careers, both have assumed positions that have enabled them to make significant contributions to firefighter health and safety. For 30 years, O’Neill served in various capacities including Vice President of Operations and then VP Government Affairs for the National Fire Protection Association before retiring in 2000. He currently is the Secretary/Treasurer of the National Board on Fire Service Professional Qualifications. Austin retired from State Farm Insurance Company after a long career. Since 1985 he has held the position of Government Affairs Director for the International Association of Arson Investigators and is a founding member of the Emergency Responder Safety Institute. He also held several leadership positions with the Delaware Volunteer Firefighters Association and the Cumberland Valley Volunteer Firemen’s Association. For additional information about the 30th Annual National Fire and Emergency Services Symposium and Dinner, visit www.cfsi.org. 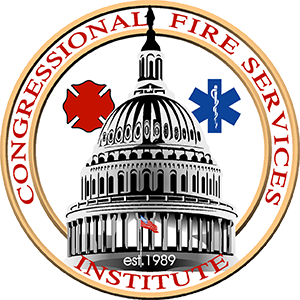 This event benefits the mission of the Congressional Fire Services Institute, a nonprofit, nonpartisan policy organization designed to educate members of Congress about fire and life safety issues.